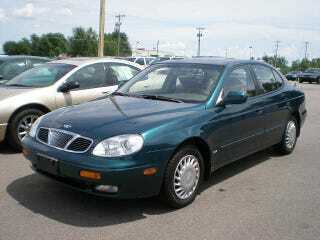 This car, the Daewoo Leganza. My family had one of these as a rental car back sometime in '03. It was on dealer loan, while my mom's '03 ION was in for a recall. Had the car for around 24 hours, and it was absolutely dreadful. The ride was rather harsh, the interior was awful (it was a low mileage car that was rather clean inside). It was quite roomy, but far from comfortable. How on earth did Daewoo (and later GM) think they could do well selling these things in the US? The only things that weren't bad about it were the looks (the best word to describe the exterior would be...inoffensive), and that it had the 2.2 E-TEC I-4 (same one found in the Isuzu Rodeo/Honda Passport), which wasn't a terrible motor...but it wasn't a very good one for the kind of vehicle it was. No wonder these things are only worth a couple thousand dollars these days, if that. Even similar age Hyundai Sonatas sell for more than that.